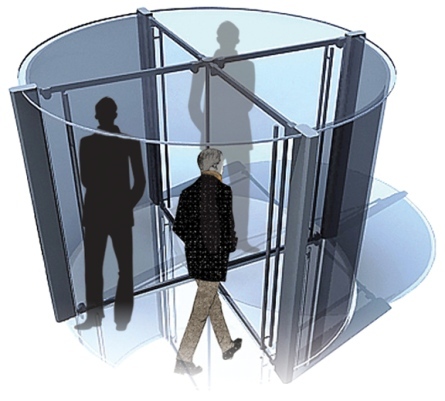 HomeChief Marketing Officers and the revolving door. Chief Marketing Officers and the revolving door. If it seems to you that chief marketing officers last only a relatively short time in their positions, you aren’t imagining things. The reality is, of all of the various jobs that make up senior management positions at many companies, personnel in the chief marketing officer position are the most likely to be changed most often. To understand why, think of the four key aspects of marketing you learned in business school: Product-Place-Price-Promotion. Now, think about what’s been happening in recent times to the “4 Ps” of the marketing discipline. In companies where there are a number of “chief” positions – chief innovation officers, chief growth officers, chief technology officers, chief revenue officers and the like – those other positions have encroached on traditional marketing roles to the extent that in many instances, the CMO no longer has clear authority over them. … Which means that the chief marketing officer is more accurately operating as a chief advertising officer. Except … when it comes to assigning responsibility (or blame, depending on how things are going), the chief marketing officer still gets the brunt of that attention. “All the responsibility with none of the authority” might be overstating it a bit, but one can see how the beleaguered marketing officer could be excused for thinking precisely that when he or she is in the crosshairs of negative attention. Researcher Debbie Qaqish at The Pedowitz Group, who is also author of the book The Rise of the Revenue Marketer, reports that as many as five C-suite members typically share growth and revenue responsibility inside a company … but the CMO is often the one held responsible for any missed targets. With organizational characteristics like these, it’s no wonder the average CMO tenure is half that of a CEO (four years versus eight). Research findings as reported by Neil Morgan and Kimberly Whitler in the pages of the July 2017 issue of the Harvard Business Review give us that nice little statistic. What to do about these issues is a tough nut. There are good reasons why many traditional marketing activities have migrated into different areas of the organization. But it would be nice if company organizational structures and operational processes would keep pace with that evolution instead of staying stuck in the paradigm of how the business world operated 10 or 20 years ago. Rapid change is a constant in the business world, and it’s always a challenge for companies to incorporate changing responsibilities into an existing organizational structure. But if companies want to have CMOs stick around long enough to do some good, a little more honesty and fairness about where true authority and true responsibility exist would seem to be in order. ← Employee churn rates underscore the volatile nature of e-mail contact databases.